A Sonoma County woman’s search for her biological mother has ended after Vacaville police identified their only Jane Doe case. 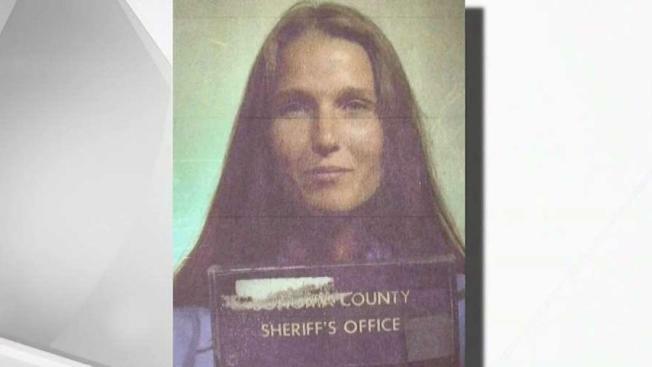 Twenty-eight years after finding the woman’s body in a field where contractors were preparing to build a poplar outlet mall, police have finally ID’d the woman. NBC Bay Area’s Jodi Hernandez is live in Santa Rosa where she spoke to the daughter whose been searching all these years. A Sonoma County woman’s search for her biological mother has ended after Vacaville police identified their only Jane Doe case. Twenty-eight years after finding the woman’s body in a field where contractors were preparing to build a poplar outlet mall, police have finally ID’d the woman. Thirty-Eight year old Caitlin Johnson was just a baby when she was taken from her homeless and drug addicted mother here in Santa Rosa and adopted. Now her mission has gone from trying to find her mother to trying to find out how she died. “I wanted to meet her even if it was a hug. I just wanted her to know there’s someone there for her,” Johnson told NBC Bay Area. Johnson has dreamed of reuniting with her biological mother for more than three decades. The two were torn apart in 1983 when her mother was arrested while trying to bathe her baby in a restaurant bathroom sink while high on drugs. “I just wanted to know what her name was, how old she was when gave birth to me and what caused her to be homeless,” she said. Through her own research, Johnson figured out who her mom was, but didn’t know what had become of her. Until Vacaville police recently identified Cynthia Bilardi’s body, 28 years after finding her in an open field where the Vacaville outlet mall was being built. “To know her body was found in ‘91 and its 2019. They never gave up,” she said. Vacaville police exhumed Bilardi’s body in 1998, making a clay sculpture and sketches. But she wasn’t ID’d until nobow thanks to updated fingerprint technology. “She’s my mom, she’s the one who gave me life … She struggled so much,” Johnson said. Johnson’s grateful she’s at least got some answers, but now she’s determined to find out what happened to the mom she never got to thank, to hug or to forgive. “Wanting to find out the cause of her death is my top priority … No matter how much time it takes I will never give up,” she said.